Five engineers, including two working for a German company, were arrested in Brazil Tuesday as part of a probe into a deadly dam collapse last week at a mine in the country's southeast, officials said. The other two worked for TUEV SUED, a German company that in September carried out the last safety inspection on the collapsed mine. They were in arrested in Sao Paulo. They were in preventive custody which can last up to 30 days during which they would be questioned by prosecutors, a statement said. Search warrants had also been issued. 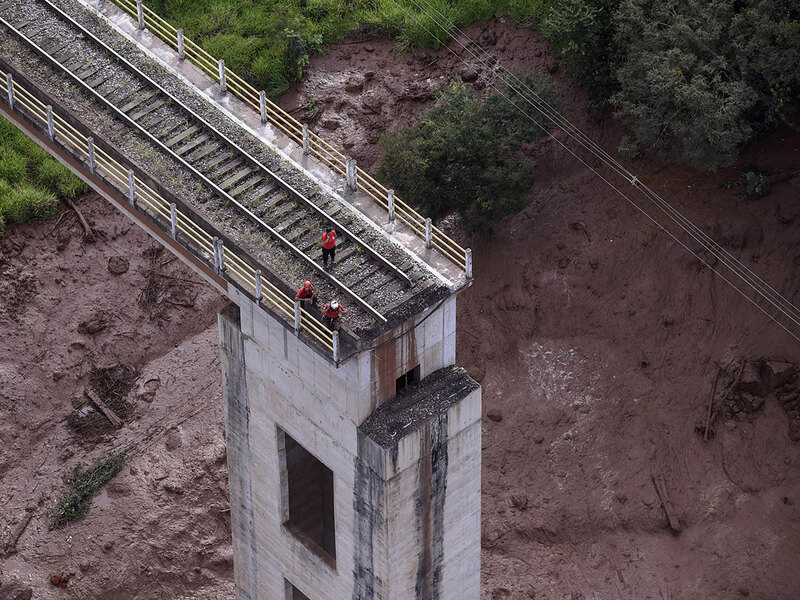 The state prosecutors said their probe was "evaluating the criminal responsibility of the Vale company" in the disaster, which happened last Friday, killing at least 65 people and leaving 279 people missing presumed dead. TUEV SUED issued a short statement confirming the arrest of its two employees in Brazil. "Due to the inquiries under way, we are not currently in a position to provide more information. We are fully supporting the investigation," it said. Vale, the world's biggest iron ore miner, said in its own statement that it was "cooperating fully with authorities" and was making efforts to give "unconditional" support to the families of the dead and missing from the disaster. On Tuesday, Vale lost nearly a quarter of its value on the stock market as investors reacted to the disaster.